Feature writing especially travel, lifestyle and first person pieces; round ups, top tens and listicles; blog posts. Sharp, well crafted copywriting – web copy, rewriting web copy, brochures, business proposals. 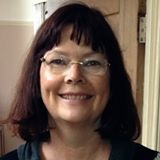 Experienced published journalist in nationals and monthly glossies as well as regional magazines and for online outlets. Feature writer specialising in travel (90+ countries visited), lifestyle, food and first person stories, but can turn her hand to most topics. WordPress user, sub-editor, SEO and social media savvy. All copywriting services for local (Richmond) and national businesses. Sparkling, succinct, error-free copy. See website for more information and testimonials from happy clients.